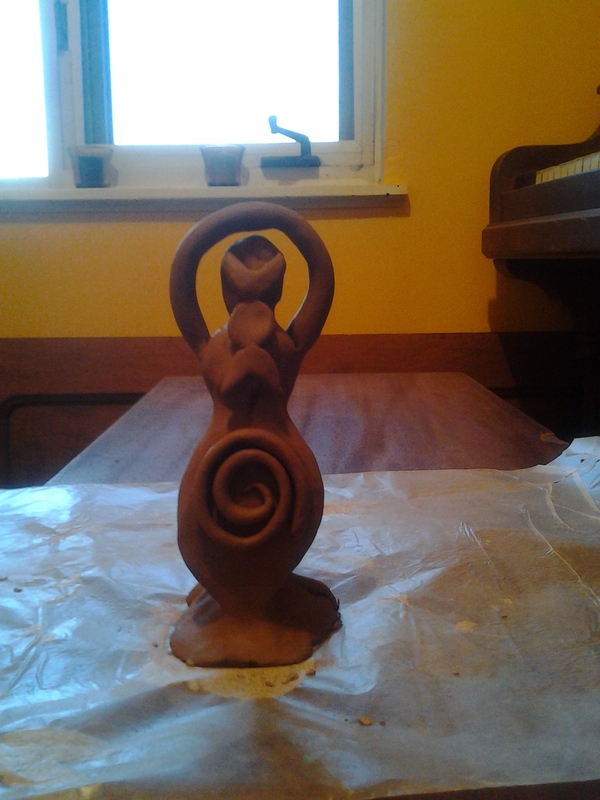 I’ve been playing with clay lately. I’m too impatient to be a perfectionist with it, but I enjoy it for fun. I do prefer to make my own witchy and shamanic tools, or just “discover” things around the house that I can use. I needed an herb jar, so I made one out of clay. I have a tendency towards simplicity, though I do adore collecting tools, rituals, and so forth. I was recently told by a spirit guide to cleanse and bless my sacred space simply by banging sticks together, what could be more easy? Yet it works perfectly for me.